Wednesday, November 2, 1859.Springfield, IL. Working hard for Palmer, Lincoln writes supporter in neighboring town urging him to do all he can to get Republicans out on election day. He also writes to William Dungy on legal matters. 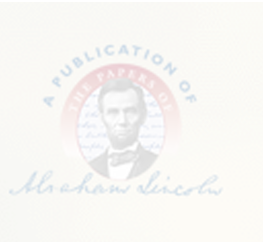 Abraham Lincoln to Doctor ?, 2 November 1859, CW, 3:492; Abraham Lincoln to William Dungy, 2 November 1859, CW, 3:492. Mrs. Lincoln buys more silk. Pratt, Personal Finances, 149.